So after tying 4-4, we were mulling around the locker room trying to figure out where to go. As much as a juicy burger and beer sounded good; it just didn't seem like the healthy thing to do. Thus, we settled on Japanese food, in particular Nao Sushi. It was on the way home for all of us; yet it w as near closing time. So we hopped in our cars and made it quickly over just in time for last call. 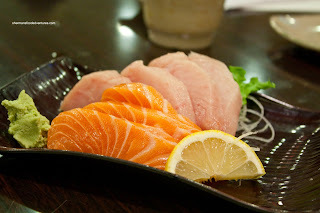 With not much time to think, we ended up with a bunch of items starting with Salmon & Tuna Sashimi. Nothing amiss with the fish here. Nice big slices that were fresh and naturally sweet. 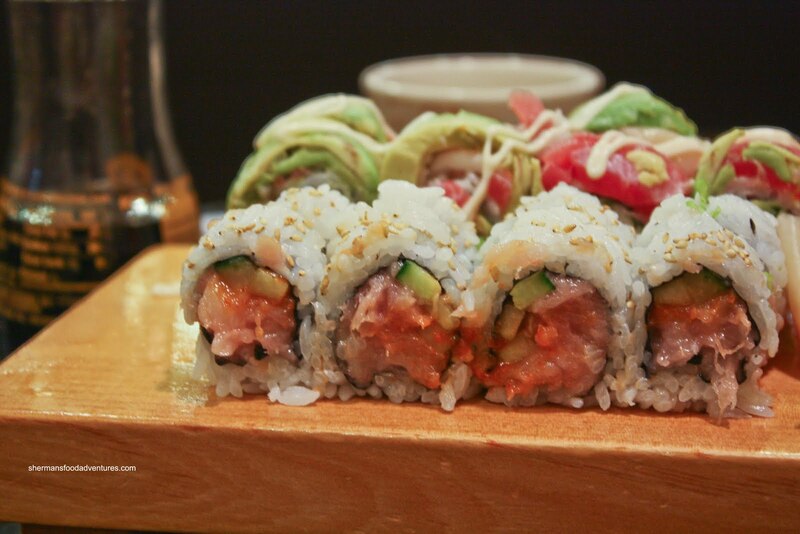 We got the Deluxe Assorted Sushi to share as well. It was comprised of 1/2 Tekka, 1/2 Salmon Roll, 1 piece each of Tamago, Red Tuna, Ika, Salmon, Hamachi, Ika, Amaebi, Unagi, Hokkigai, Masago, Chopped Scallop and Uni Nigiri. Once again, there was nothing bad to say about anything in this combo. The items were fresh and prepared correctly. Furthermore the rice had a nice chewy, while not dry, texture to it. This is quite the feat since it was near closing time. Fine, back to the sushi... We went for the Rainbow Roll. Not trying to sound like a broken record; but... the different slices of fish were fresh while the avocado was bright and of the right texture. 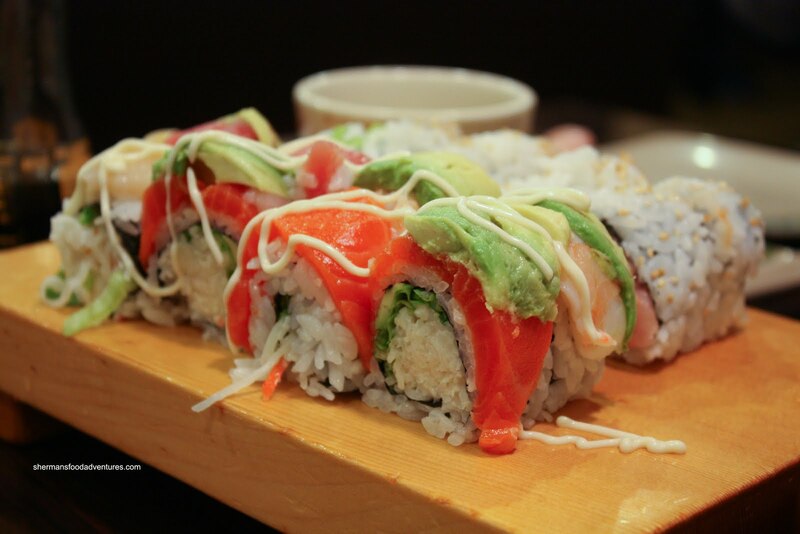 Add good sushi rice with a nice bite and flavour, you have a solid roll. Lastly, we got a Spicy Tuna Roll. To some, the extremely melt-in-your-mouth tuna may be a turnoff; yet the texture was purely intentional. Prepared in that fashion, the fresh tuna was soft and spicy. Of course, the same good sushi rice added some chewy texture while the small piece of cucumber added a slight crunch. As we were waiting to pay, there was a discussion about Japanese-run restaurants. 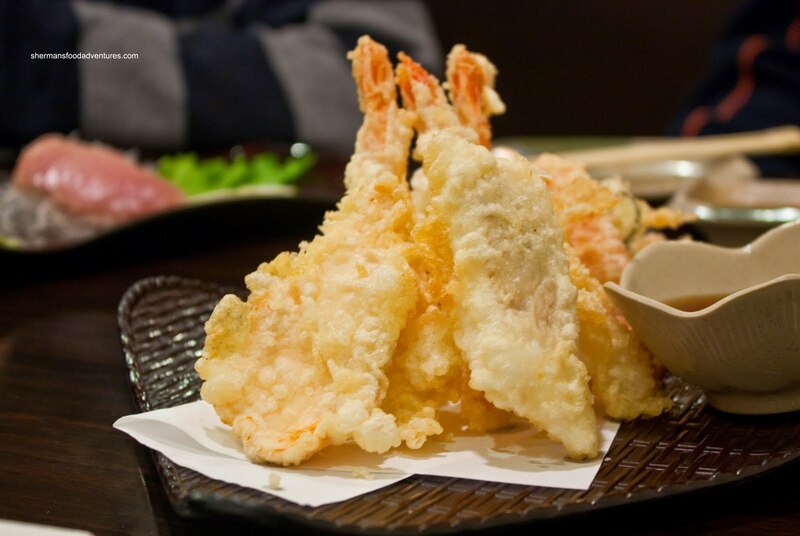 In the sea of Japanese restaurants in the GVRD, there is only a small percentage that are truly authentic. Then there is an even smaller percentage of those that are actually Japanese-run. With that being said, that doesn't necessarily guarantee good food either. 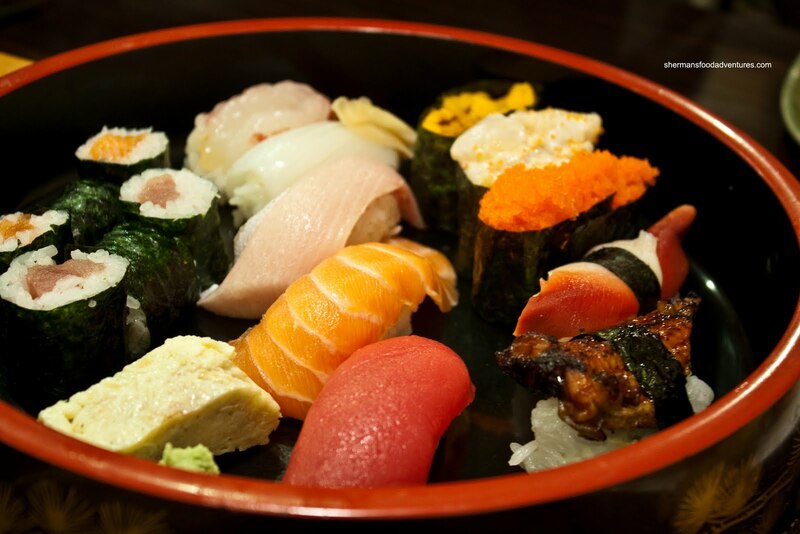 However, Nao Sushi is an example of an authentic Japanese-run restaurant. 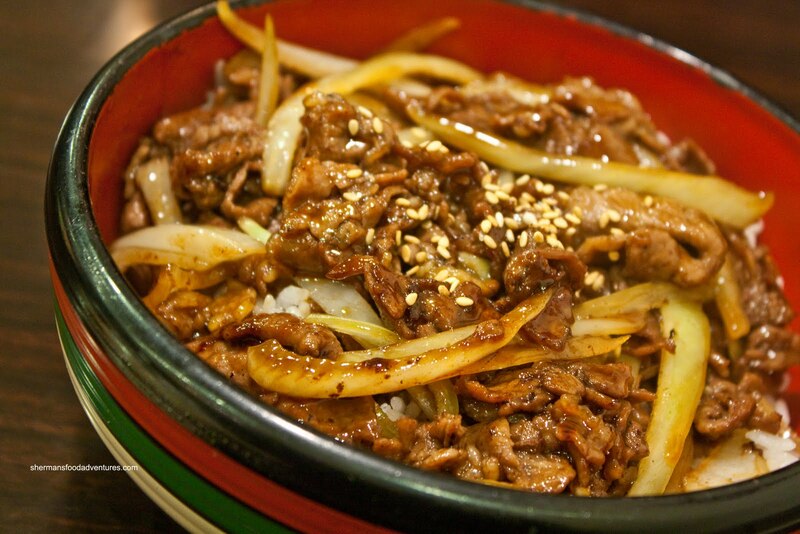 The food quality was very good, while the prices are definitely reasonable considering everything. We will be back. 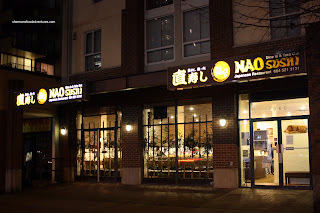 Nao Sushi is one of those no descript places that offers good food without raising its profile too much. One thing I should note, though, following the point of "if the people of that nationality visits the restaurant...", the times I have been in Nao Sushi, I see the people from the Nikkei Centre (read, Japanese center, where Hi Genki is located) a couple of away go there for their sushi fix. That should tell you something! 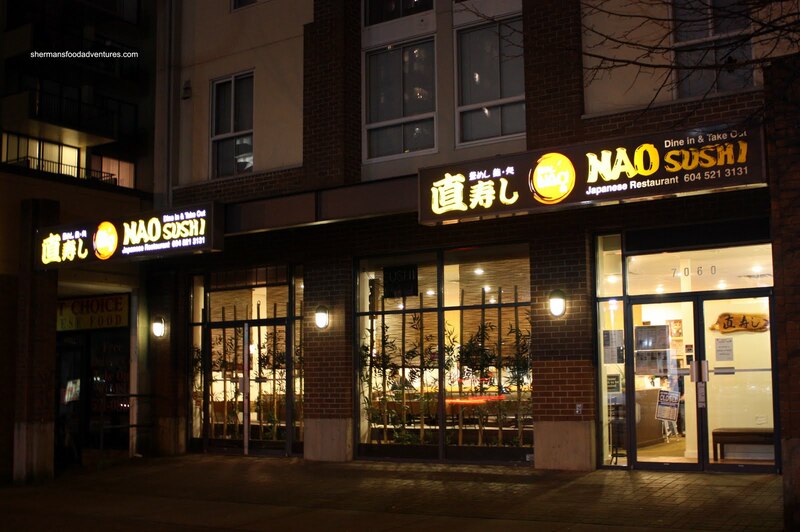 I've heard good things about Nao Sushi (formally the first Sushi House) over the years. Looks like you had a good meal. I heard one of the better dishes served there is Lobster and Assorted Sashimi. if you are looking for an authentic japanese restaurant run by japanese chefs, have you had a chance to check out Hapa Umi in coal harbour? Kim, yah the clientele says a lot about a restaurant! Somehow, psychologically, I feel better. LOL. Jer, Lobster? I need to try that next time. Hapa Umi eh? The new place opened up by Hapa Izakaya... No, but I'm planning to try. I'll wait til they have worked out the kinks first. I went too early to the Yaletown location last time.